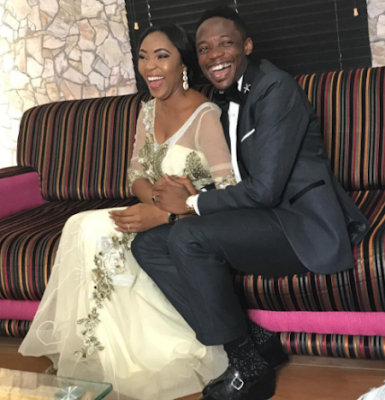 Nigerian Football star Ahmed Musa welcomes baby boy with new wife Juliet..
Super Eagles footballer Ahmed Musa has just welcomed a new baby with his new wife Juliet whom he married shortly after divorcing his first wife. Sharing the happy news the star who just bagged the top 8th goal of the Russia 2018 world cup said "I would like to announce to you all that moments ago Allah blessed me with a beautiful baby boy! Words cannot describe this feeling!" This would be the footballer's third child haven welcomed two with his ex wife.